I don’t mind going shopping on Boxing Day as long as long as I don’t have an agenda. I find that every year we tend to head out to the stores with no goal in mind only to see what bargains are to be found. It’s more of a tradition each year now just to roam around and see what the stores are getting rid of at rock bottom prices. We set out early on Boxing Day bright and early at 5:30 with our first stop being Future Shop for 6am only to notice that the line-up wasn’t near as long as it was in 2012. What is going on? Are people not wanting to spend money on Boxing Day? Are the deals not worth getting up for? To be honest we didn’t even read the Boxing Day flyers as it’s been so busy. Is online-shopping taking front seat to getting up and venturing out into the cold waiting in line? Not everyone is comfortable shopping online yet but I’m betting over time we will see more people staying home unless the stores come up with better in-store deals. Future shop even went as far as to offer customers free Tim Hortons coffee which was great if you wanted to take the time to make one at the brewing station. There was no line-up there either, not surprised at that either. The mall was equally as quiet with the hallways not picking up with foot traffic until about an hour after the mall actually opened which was very surprising. You would guess that gift card holders would be jamming the stores wanting to take advantage of the sales with the gift cards they received. Many of the mall deals were standard up to 70% off or buy one get one free or take and extra 50% off the last ticketed price. The stores that were packed were the techie type stores that carried everything from cell phones to video games to laptops and TVs. We ended up picking up a laptop door crasher at Future Shop for our relative but they had so many left that it made it seem like it was any other day of the week. We weren’t complaining as we didn’t have to fight off hundreds of people just to get save a few bucks. I guess it wasn’t as much of a hit as they thought it would be but it was what we needed to get so a bargain for our relative. Future shop was crawling with people and probably one of the busiest shops we went into aside from Sears which had some pretty good knock-out sales. My wife was able to pick up 2 pairs of leather high heel boots regular priced $149.99 and $239.99 for just under $40 a pair where last year she found a white Columbia winter jacket for around the same price with the regular price close to $300. You can’t pass up those types of deals especially since she’s been looking for boots for a while that she feels comfortable in as she has size 10 feet which is hard for some women to find a comfortable shoe and boot. We didn’t stay out too long as the wife has been very sick in bed all week and trying to keep up with the festivities at a snail’s pace but still smiling her way through it all. If we were smart maybe we could have just woke up, made coffee and turned on the laptop and finished our Boxing Day shopping online where I can only assume many Canadians took to. Did you go out Boxing Day shopping? Every day Food Bloggers from around the world pass by my other love the Free Recipe Depot Facebook page to share a daily recipe which I share with my fans. 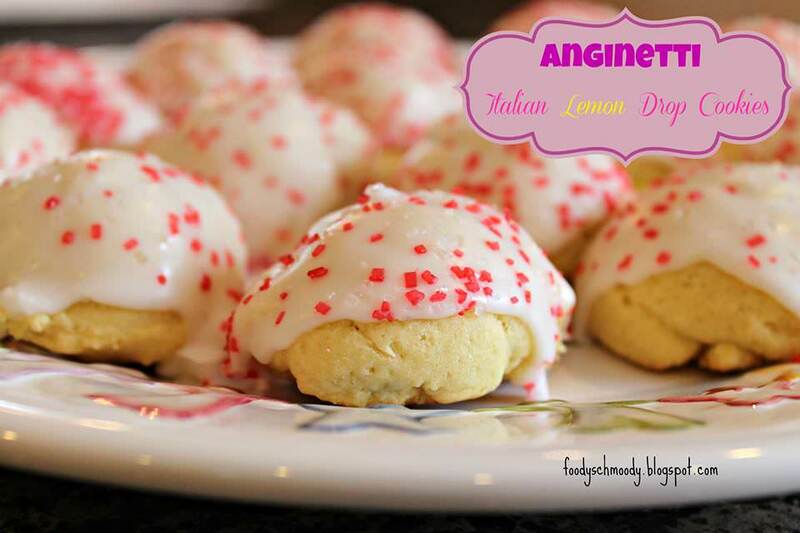 This weeks festive Top Recipe comes from a blog called Foody Schmoody… I’m just Cooking with Anginetti Lemon drop cookies which are traditional Italian cookies made during the Christmas holidays. If you missed any CBB posts from the week here is the list of posts you can catch up on reading! Do men and women influence each others shopping habits? Every week I share a few of the best personal finance blog posts that I read over the past week with all of you so please enjoy my top picks. Well, that’s a wrap for this Friday’s grab a brew #52 so happy saving and I’ll see you here again next week when I do it all over again. PF Weekly Grab a brew #43: Make a deal or pay full price? PF Weekly Grab a brew #44: When should you put up the Christmas decorations? 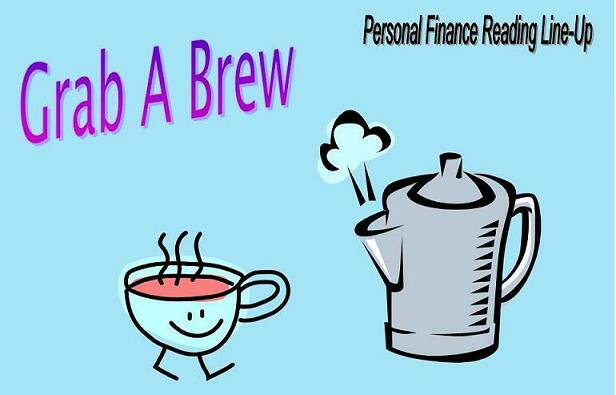 PF Weekly Grab a brew #47: How important is family time to you? PF Weekly Grab a brew #49: Are all online reviews telling consumers the truth? PF Weekly Grab a brew #50: Should rich kids get off easy in the legal system? I went to Walmart on my way to work to get some wrapping paper and Christmas cards for next year (I used up all mine this year) for 50% off and used part of a gift card we had gotten for Christmas. I was surprised by how quiet it was. Yes it wasn’t near as busy as last year. I’m sure it’s a sign of the times to come where more people will just stay home and find deals online. We don’t normally partake but this yeat we went out for a bit but not until 10 am. Hubby bought a mini fridge for his bar (78 from 178). I need a laptop but I didnt see anything that was worth wasting my time over. I’ll look through the online sales again and see if I missed anything but I dont want to spend more than $300. Hope your wife feels better! We picked up a laptop for $399 at Future shop for our relatives which will be fine for what they will use it for. I hope we feel better soon as well, it’s getting the best of us. Hubby and I went to Canadian Tire and the mall. We just go and wander not looking for anything specific. We usually get deterred by the long lineups if we do find anything we like…hope Mrs. CBB feels better soon. 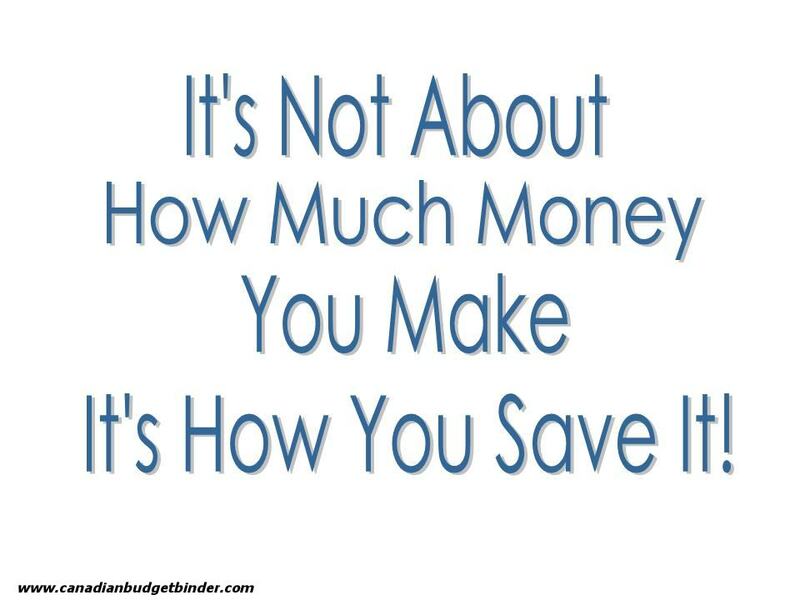 That’s what we do, go with no agenda and if we see something we need at a great price we consider it. Thanks Jen…. we are very ill still. I don’t do the black friday madness here. There’s really not much “stuff” I need. And when I do need something, I’m turning to online deals. We had a quick prowl around Canadian Tire store yesterday. Mostly because hubby wanted to go for a walk and it was nice and close. Not too tiring a walk. It wasn’t overly busy, I’ve seen it a lot busier. I picked up a pair of gloves as one of my gloves went missing a little while ago. They were not on sale. It still only $14.95. They will do me. There was an immersion blender on sale last flyer for half price but they didn’t have any in stock before or yesterday so I got a rain check. My old blender crapped out a few weeks ago, the older boy took it apart to see if it could be fixed…nope. Oh well, I got it back when the kids were tiny so I’ve had it for a long time. This one will be $35.00 on sale, regular is twice that. I can live with that deal. Yes we popped in to Canadian Tire as well but just to pick up some washer fluid. Mrs.CBB is pretty ill… I hope she can get past it as she hasn’t been sleeping or eating much, just soup but hard to keep that down. I guess it gets the best of us at some point. Hopefully things will get better as the days go by. The older boy wasn’t feeling great Christmas Day and barely ate anything at dinner and yesterday he didn’t eat anything at all but basically slept the day away. He finally had some apple juice stay down in the afternoon. He had a shower this morning which helped some. Lunch was toast and his dinner will be a toasted turkey sandwich…. His first taste of the turkey!!! I won’t push any food he isn’t ready for, his tummy will call the shots there. I learned the hard way when the kids were small…never force food on someone that complains of the tummy not feeling well!!!! Maybe a little apple juice after they have been a few hours without throwing up……fluids are more important than food, dehydration can be serious but it’s not that big a deal to not eat for a day or two or three so long as the person is getting fluids…. Good luck both of you and I do hope you both feel better very soon. I wonder why it was so quiet this year? Sounds like your wife is feeling better! I got hit with something pretty nasty too and I’m finally on the mend. Hope all is well in your world! NO, she’s pretty sick… it’s hit us both pretty hard. I’m hoping to get her out of bed today.